Professional web sites, software programming, database & mobile solutions for individuals, organizations, and businesses. Glyphic Solutions is a technology consulting business focused simply on quality and personal attention. Need a new web site...not sure where to begin....?? 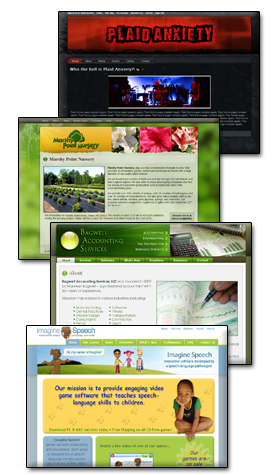 Glyphic solutions takes all the guess work and headaches out of setting up a web site. We handle all areas of the web site life cycle (conception, requirements, documentation, design/graphics, layout, programming, domain registration, hosting, deployment, and updates & maintenance). We use a powerful content management system that provides you with full control over the content of your web site at any time. No HTML knowledge is required. Easy to use editors. Add extra features to your site on the fly such as blogs, forums, maps, secure file sharing, online store front, newsletters, surveys, polls, event calendar, and more!